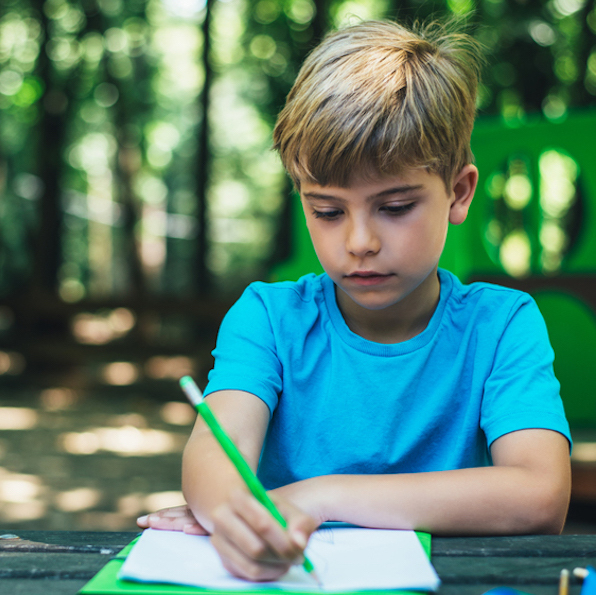 DO YOU HAVE A CHILD WHO STRUGGLES WITH ATTENTION, BEHAVIOUR OR HANDWRITING? MAYBE THEY CAN’T SIT STILL, HAVE MESSY WRITING OR ARE SLOWER TO COMPLETE WORK THAN THEIR PEERS? IT’S AN INCREASINGLY COMMON PROBLEM AND OFTEN PARENTS FIND IT HARD TO FIND THE TIME AND TOOLS TO HELP ADDRESS IT. I’VE ALWAYS BEEN HESITANT ABOUT OFFERING OT THERAPY SESSIONS TO ADDRESS THESE DIFFICULTIES BECAUSE THE LENGTH OF TIME BETWEEN SESSIONS OFTEN MEANS THAT PROGRESS IS LIMITED. SO THESE SCHOOL HOLIDAYS I AM OFFERING INTENSIVE 1:1 THERAPY BLOCKS TO HELP ADDRESS SPECIFIC CHALLENGES AND CREATE HEALTHY HABITS MORE EFFECTIVELY. YOUR CHILD WILL RECEIVE A DAILY INDIVIDUAL OCCUPATIONAL THERAPY SESSION FOR 5 DAYS. SESSIONS COST $100 EACH ($500 FOR 5 DAY INTENSIVE) ALL ELIGIBLE STUDENTS CAN ACCESS UP TO 80% IN MEDICARE REBATES CLAIMABLE ON COMPLETION OF THE PROGRAM. BULK BILLING PROVIDED FOR ELIGIBLE MEDICARE CLIENTS. There are no age restrictions I will tailor the sessions to suit your child’s age and needs. HOW WILL I KNOW IF MY CHILD IS ELIGIBLE FOR A MEDICARE REBATE? Children who have 2 or more chronic health conditions are generally eligible for 5 subsidised sessions through an Enhanced Primary Care plan. Eligibility for these plans can be discussed with your GP. Children requiring assistance for mental health related concerns can access the sessions using a Mental Health Care Plan. Contact your GP to discuss eligibility. Bulk Billing is provided for these claims. DO I NEED TO ATTEND THE SESSION WITH MY CHILD? No you don’t need to stay for the session. However, the content may be useful in helping you support your child’s learning needs. Sessions are 30min long, you can request a 45min or 1hour long session should you feel your child would benefit from this. However, 30min is generally plenty for this type of therapy. WHAT HAPPENS IF WE CAN’T ATTEND ALL 5 SESSIONS OR THE DATES ALLOCATED? Contact Kait to discuss tailoring a package that best suits your family situation and needs. No equipment or additional information is required unless you are paying using funding or have previous reports or intervention you would like to discuss. Parents paying using funding can discuss necessary paperwork with Kait when confirming the appointment. WHAT IF WE DON’T LIVE LOCALLY? There are 2 options for people who live out of town. We can either arrange Skype sessions so your child can complete the program from the comfort of your home. OR I can arrange discount accommodation for your family at the Yarrawonga Holiday Park (they have the most amazing new $2million playground and splashpad). Contact Kait to discuss. Expressions of interest are also being taken for other towns including Bendigo, Echuca, Shepparton and Wangaratta please email Kait at [email protected] to register your interest. You can click the shop now button above to pay and secure your place. If you have a time preference I recommend selecting your appointment times early to ensure you get your preferred days and times. WHAT IF I CAN’T PAY UPFRONT? You can pay in instalments and those using funding to pay can arrange appointment times directly with Kait. Email [email protected] or call 0439485500 to secure your spot.